Heavy with shoes, boots and clothing of every style, I drug the bags down the stairs, through the hall and hoisted it in my truck. Another bag of out-of-style everything was on its way to the thrift shop. From my closet and our girls’, the enormity of all we no longer wanted overwhelmed me. It felt like just yesterday we needed all this stuff. One year it was boots. Another season it was a specific backpack or jacket. Every year in middle school, there was something they just had to have. If Christmas or a birthday was near, they often got the item they wanted. But sometimes, by the time this special day came around, the crowd was wearing something new and our girls had moved on to a different “need.” Or if they did get the thing they so desperately wanted, all too soon it was out of style. As they matured they began to see, more will never be enough. As soon as you get the more you want, you have a new more to work on. More is never enough is a lesson I have to keep teaching myself. Watching the “fixer upper” shows, I suddenly find myself needing new paint, new stools, new rugs. An hour ago they were all fine! Just as soon as the new purchase is brought through the door, a line is crossed through the list in my head and I am on to the next shiny thing. 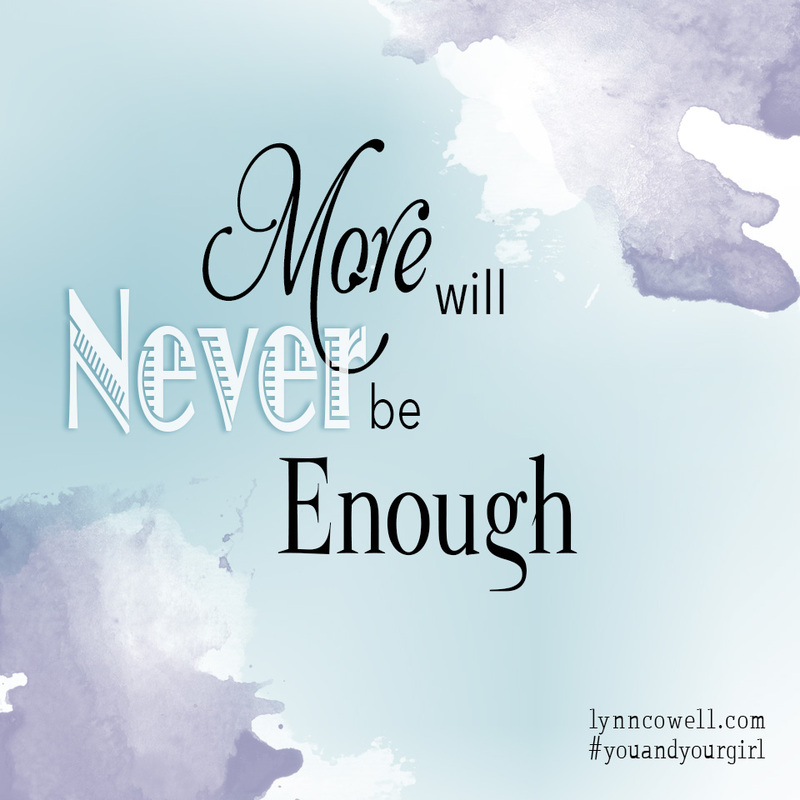 More is never enough…and it never will be. It is not bad to want something new. The problem comes when the new takes hold of us; becomes the focus of our motivation or the scheming of our days.